One morning while in Hanoi Vietnam, we got up before 4:00am to go on an early morning city tour. Crazy, right?! Now, we are not early morning people by any means, but we trusted our guide and reluctantly got ourselves out of our comfortable beds to explore Hanoi at 4:00am. We are so glad we did as there are things that you only have the opportunity to experience early in the morning in Hanoi and few tourists venture out at these hours. We explored chaotic early morning markets, witnessed the changing of the honor guards ceremony, joined the local early risers for tai chi at Hoan Kiem Lake, searched for a magic turtle, and had breakfast with the locals in the Old Quarter. All that before 8:00am! Interested? 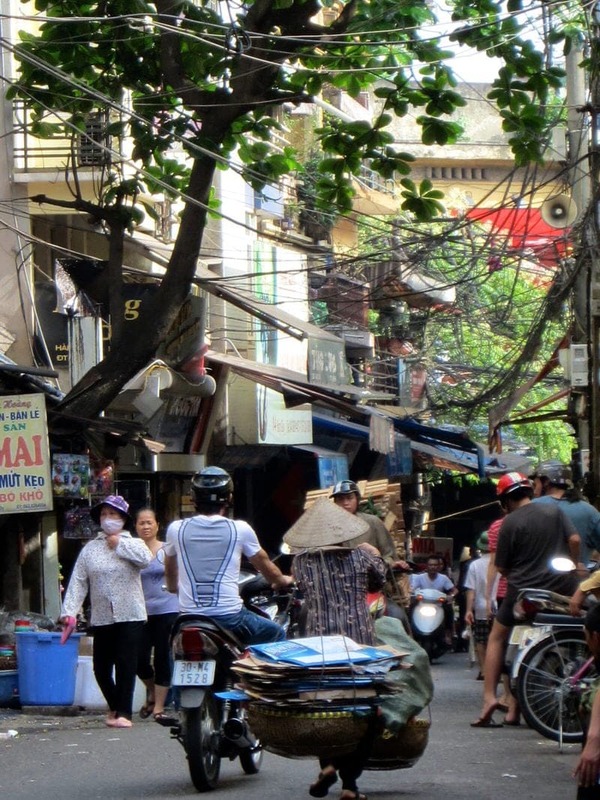 We’ll give you a list of places in Hanoi Vietnam you might want to visit on a morning venture of your own and share our own early morning adventures with our local guide from Footprint Travel. One weekday morning we got up at 3:30am to get ready for a tour of the early morning sites in Hanoi Vietnam. Ethan was quite skeptical of my decision to choose a tour that literally had us getting up before dawn. I have to say it was quite difficult to tear ourselves away from our lovely hotel room at the historic Sofitel Legend Metropole Hanoi at such a crazy hour, but we are now so glad that we did. There is so much life going on in Hanoi in the early morning hours. Few visitors get to experience these places that are alive and bustling during the wee hours of the day and then fade out of existence as the sun begins to rise. Below you’ll find a list of things we did one morning in Hanoi. You can pick and choose to create your own morning adventure or you can replicate this exact schedule by booking the same Good Morning Hanoi tour with Footprint Travel. Ethan wondering do we really have to be up at 3:30am? 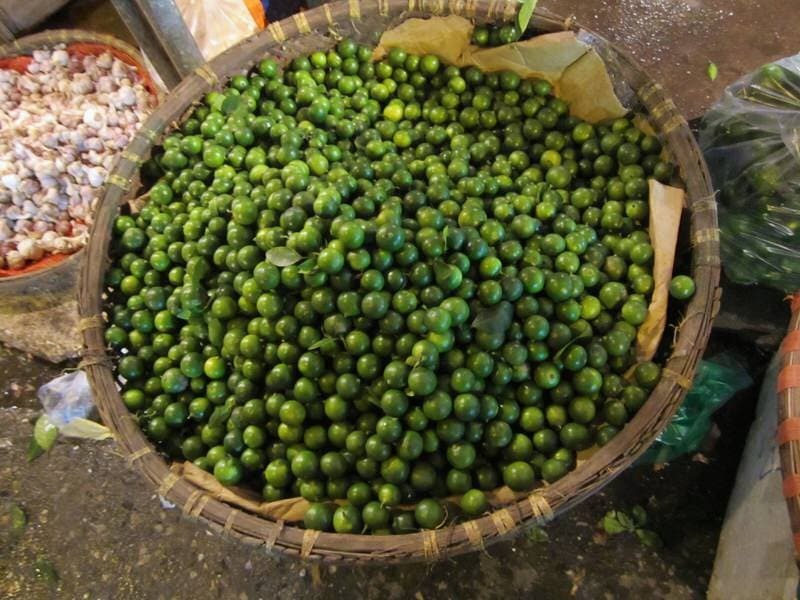 Our first stop of the morning was to the Long Bien market, a fruit and vegetable wholesale market. 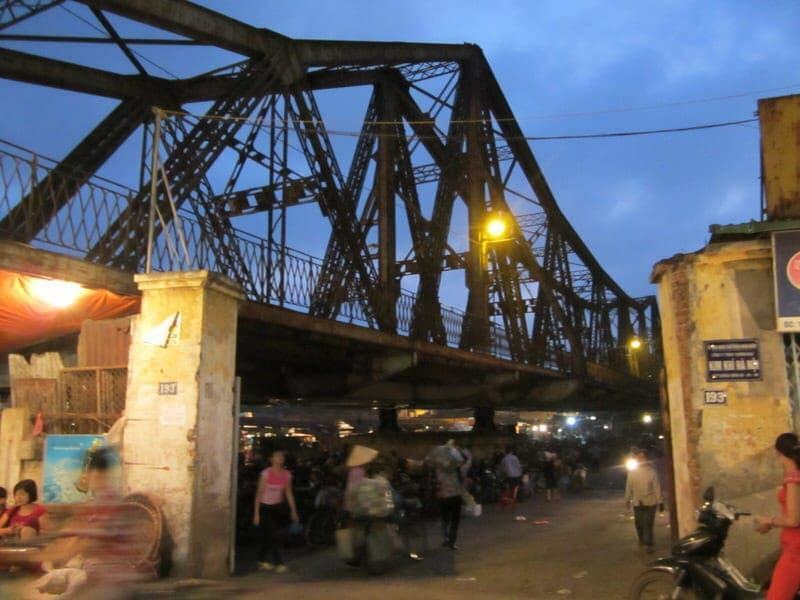 Located next to the historic Long Bien Bridge than spans the Red River, this is one of the largest and busiest fruit markets in Vietnam. Produce pours into this market daily from all over Vietnam and even from China and many buyers from local restaurants and markets arrive in the morning to stock up on fresh fruit and vegetables for the day. In addition to fruits and vegetables, you can also find meats, fish, spices, flowers, and other food goods, but the main reason to visit is for the fruit and vegetables. The market begins around 1:00am and really comes alive around 3:00am. If you arrive after 6:00am you’ll likely only find those cleaning away the litter of the day as all the vendors head off to eat breakfast and tally the morning’s earnings. If you are thinking you’ve already visited some local markets in Vietnam, chances are you haven’t been to one quite like this. There are vendors as far as the eye can see with stalls heaving with fresh produce, buyers and sellers crowded around stalls and trucks, and motorbikes loaded with fruit weaving down aisles. The paths can be hard to navigate as those on foot have to be careful for the constant traffic of motorbikes, carts, and trucks picking up and delivering goods. We were really lucky to have a guide who not only helped point out the many unfamiliar produce items, but he also made us feel comfortable in this chaotic market. 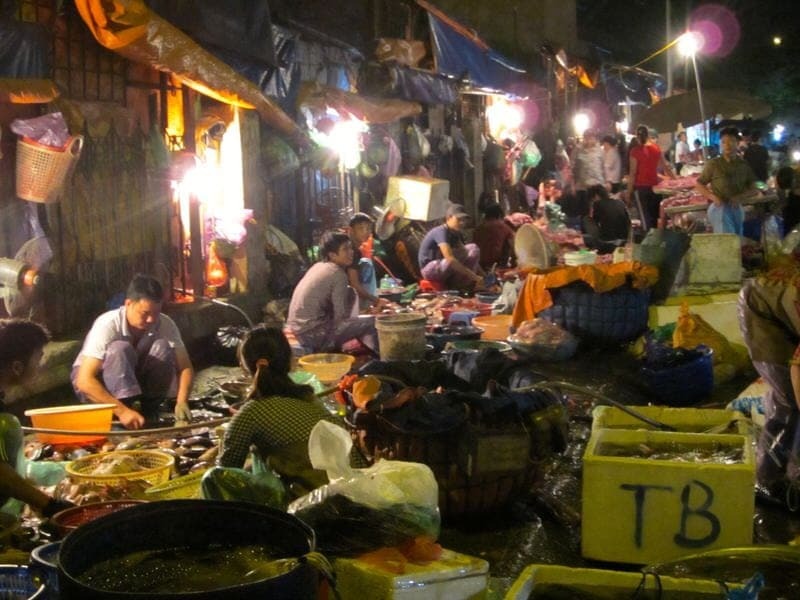 While it might be sensory overload for some, it really does awaken your senses and gives you a glimpse into the early rising Vietnamese who buy and sell at this market. If you visit, wear practical shoes and be prepared for a little mud or grim as you walk through. Chances are you’ll be one of only a handful of visitors so be respectful; don’t take photos directly of vendors unless you have their permission and don’t block stalls unless you are planning to buy something. It is important to remember that the vendors depend on the money they earn each day to support themselves and their families and they will not be pleased if they think you may be impeding their business. Many vendors will understand little or no English, but generally with some pointing and hand gestures you’ll be able to figure out the prices and make a transaction. 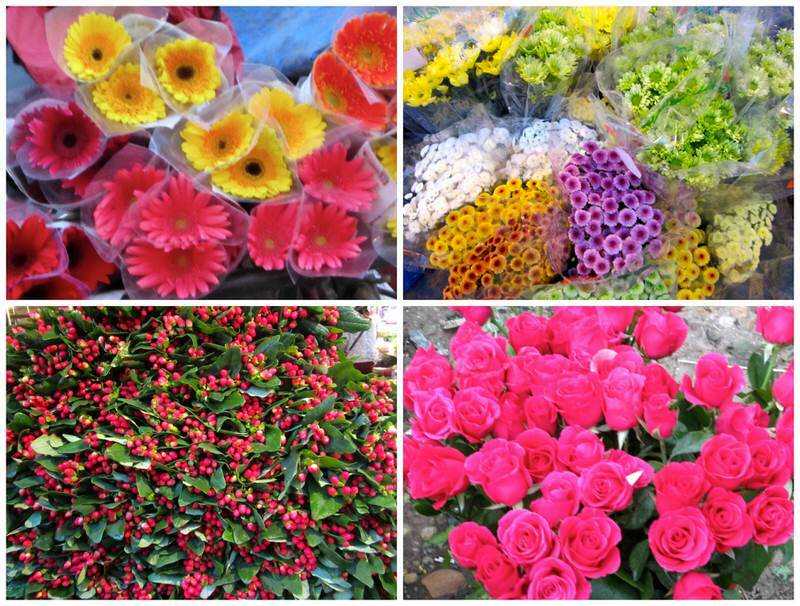 A trip to the Quang Ba Flower Market in the Tay Ho district of Hanoi will provide a colorful feast for your eyes. The catch again is that most of the action here happens before 6am, with the market at its strongest between 2:00am and sunrise. This is the largest flower market in Hanoi, and fresh flowers are shipped here each day from all over Vietnam and as far away as Da Lat. 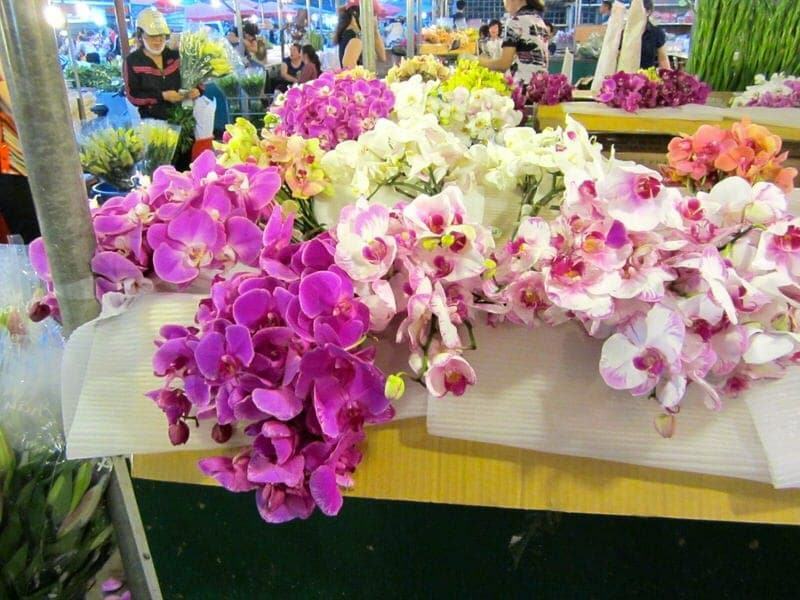 In the earlier hours of the market, most of the business is to commercial wholesale buyers and later in the day there are more individual sales to local people who are buying the flowers for celebrations, memorials, and offerings. 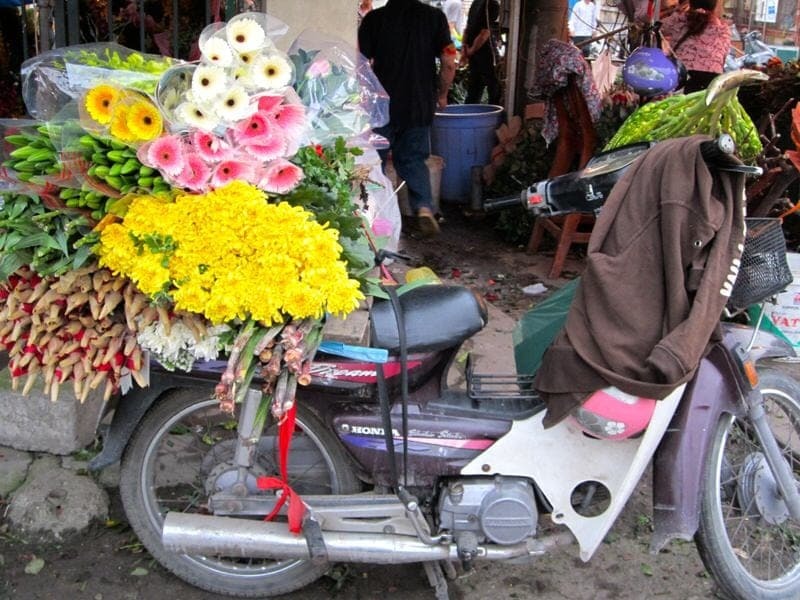 The Quang Ba Flower Market is particularly busy around holidays, particularly Tet (Vietnamese New Year), which is also when additional seasonal flower markets spring up in Hanoi. During our visit, it was a full moon and Buddhist holiday known as Vesak or Phật Đản, so many locals were buying flowers to leave in Buddhist temples and on their home alters as offerings. We had a very pleasant stroll through the flower market and while busy, it was not nearly as chaotic as the Long Bien Market and it was so beautiful! 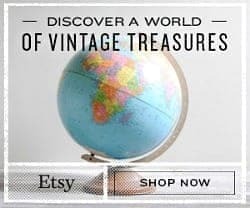 You’ll see tables filled with colorful packets of just about every type of flower you can imagine from daisies and roses to orchids and sunflowers. 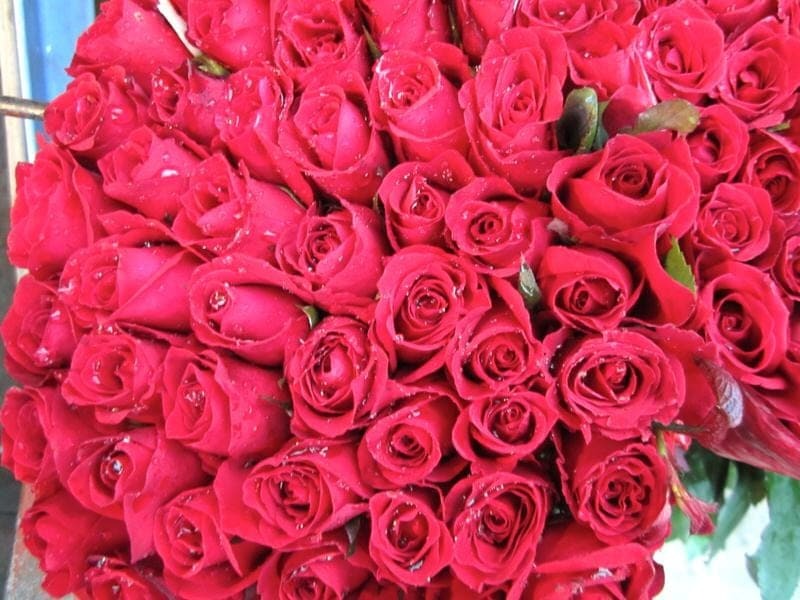 Most flowers are sold separately by type, but you can also have bouquets of different flowers made at some booths and buy flower decorations and pre-made bouquets. Flowers here are very well priced. A photographers dream, although be sure to be respectful about any photos and do not block vendors’ tables. 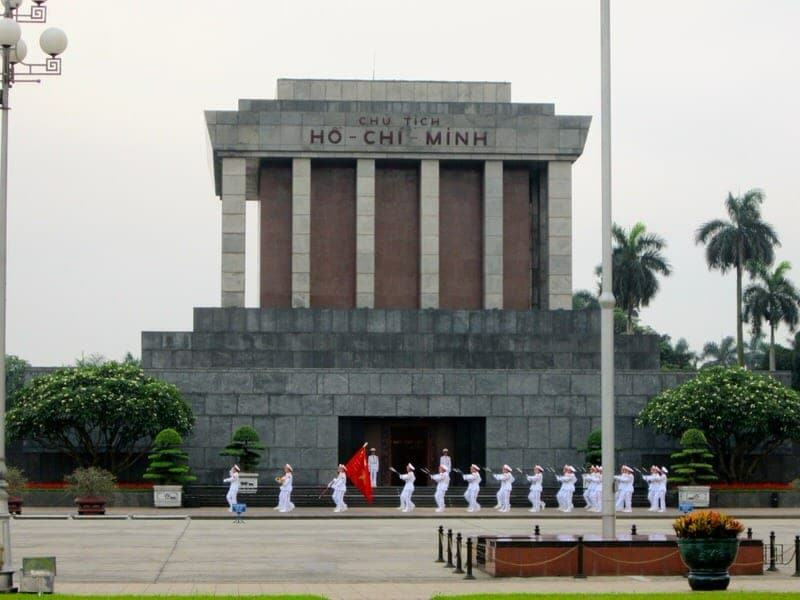 Next stop was to the Ho Chi Minh Mausoleum, located in the center of Ba Dinh Square, which houses the body of Vietnamese leader Ho Chi Minh. 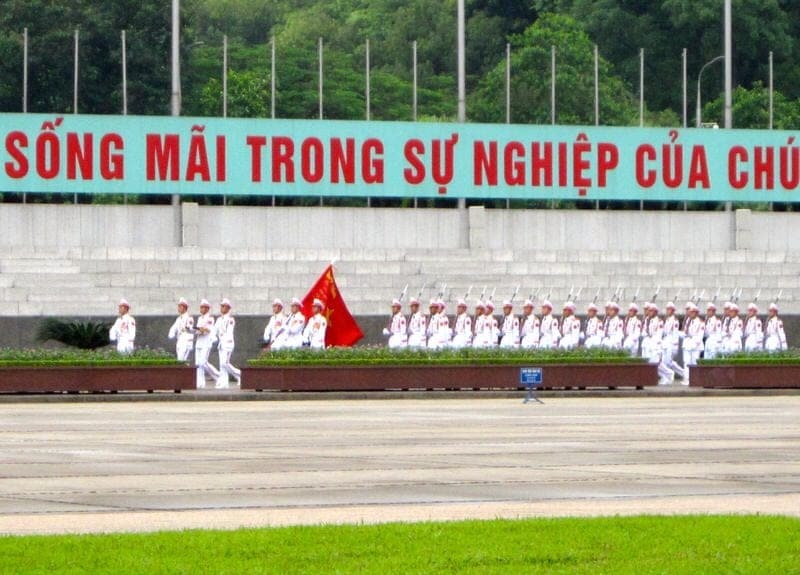 Ho Chi Minh was Chairman of the Communist Party of Vietnam from 1951 until his death in 1969 and was integral in the establishment of the Democratic Republic of Vietnam. Ho Chi Minh is a greatly respected, and even worshiped, figure for many Vietnamese and while his Communist politics may not sit well with many Westerners, it is wise to be respectful when talking about him and during visits to his former home, palace, museum, or mausoleum which are all located within the large Ho Chi Minh Mausoleum Complex area. Despite his wishes for a cremation, Ho’s body was embalmed and is on display to visitors in the giant granite mausoleum that is modeled after Lenin’s Tomb in Moscow. Many Vietnamese make a pilgrimage here to pay their respects to the man many refer to as “Uncle Ho”. On this trip though we were not here to visit the mausoleum or the museum, but to witness the changing of the white-clad Honor Guards in front of the mausoleum. 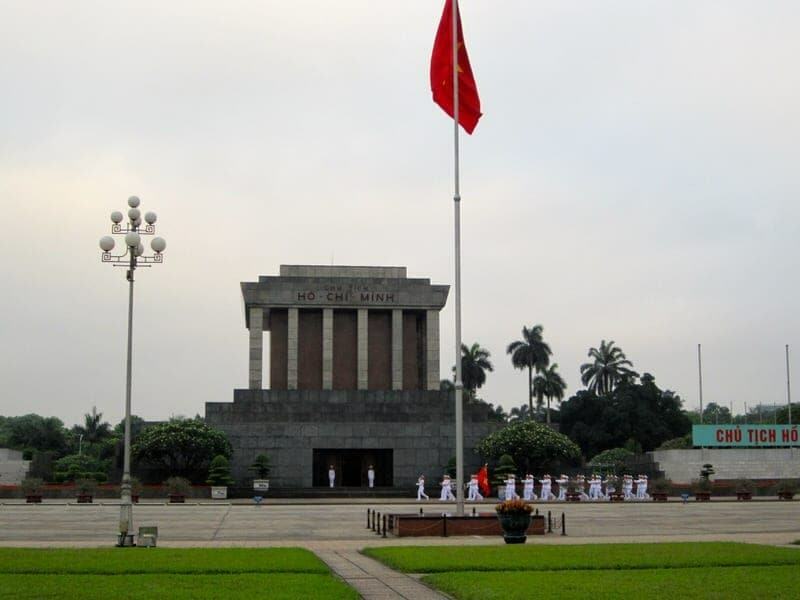 Given that all the major sites had not yet opened, there were just a handful of locals strolling around Ba Dinh Square. Nearby many were doing tai chi, dancing, and playing badminton which surprised us that so many people were active this early in the morning. During the ceremony, those closer to the guards stood still and took off hats in respect to the guards but otherwise people went about their business. It was a short ceremony but interesting to watch, and we had almost the entire area in front of the mausoleum to ourselves as the long queue to see Ho Chi Minh’s body had not yet begin to form. I think we were here at 6:00am but you can witness the ceremony throughout the day as it happens hourly; however, later in the day the area becomes much more crowded. 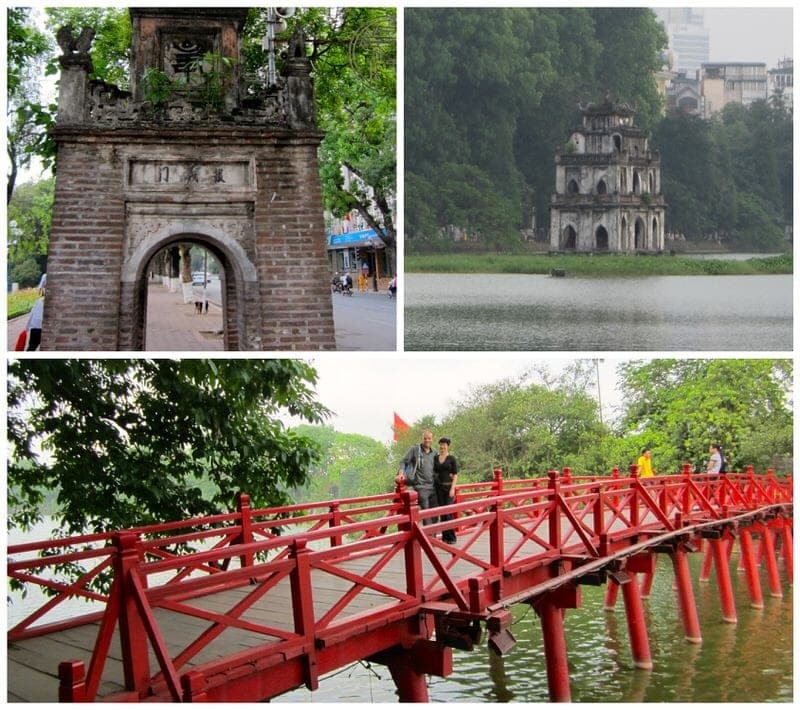 Hoan Kiem Lake, Lake of the Restored Sword, is located in the historic center of Hanoi and is one of the major scenic spots in the city, much visited by both tourists and locals. A visit here is a good idea at any time of the day, but in the morning you’re likely to catch the locals out and about exercising, jogging, dancing, and doing their morning tai chi. 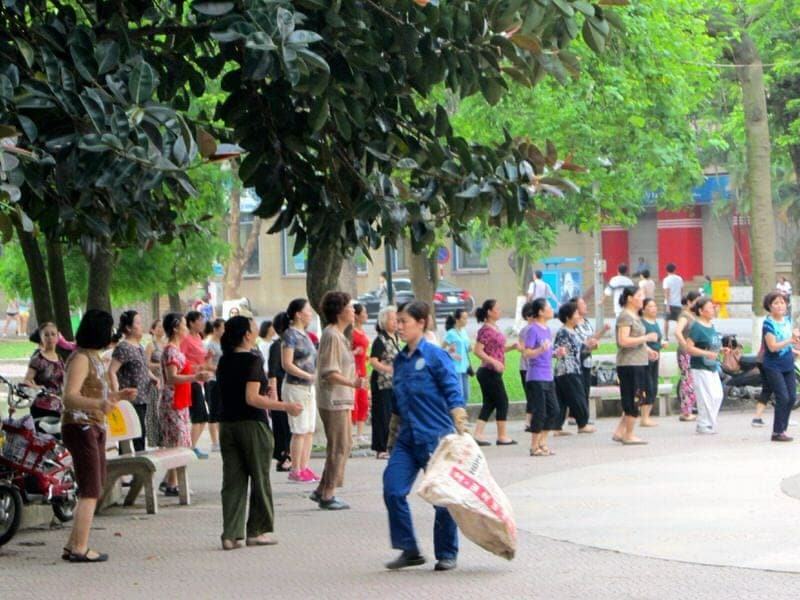 The majority of those participating in the morning tai chi groups were women, but this didn’t stop Ethan from briefly joining in on the fun. Next, we walked around the lake, learning about the history of the lake, the Thap Rua (Turtle Tower in the middle of the lake), and the Ngoc Son Temple (Temple of the Jade Mountain). Historically, this lake was once the site of large temple complexes, such as Bao An Pagoda, which contained monasteries, temples, pagodas, meeting rooms, and dwellings. Sadly, like so many historic buildings in Vietnam, the French tore down Bao An Pagoda in order to build French administrative buildings and today only one tower which served as an entrance gate to the pagoda remains opposite the post office. During our walk around Hoan Kiem Lake, we kept peering into the water, hoping to catch a glimpse at Hanoi’s most famous resident Cu Rua. Cu Rua is a giant turtle weighing over 400 pounds that lives in the lake and may be the only turtle of its kind still in the lake and one of only a handful of its kind in existence. However, it is not the rarity of Cu Rua that makes her so popular as this turtle is believed by some to be Kim Qui, the Golden Turtle god, or to be a descendent of Kim Qui. According to Vietnamese legend, Emperor Le Thai To (Le Loi) was boating on the lake when the Golden Turtle God (Kim Qui) surfaced to reclaim the magic sword that Le Loi used to successfully defeat Chinese invaders during the Ming dynasty. The turtle reclaimed the sword from Le Loi to give it back to his master the Dragon King (Long Vuong). In 2011, they captured Cu Rua for some medical tests and treatment and you can see a bunch of photos and videos online as this was very popular news in Vietnam at the time. We sadly did not get to see the famous turtle as she rarely came to the surface. Sadly, we have since read that she is believed to have died in January 2016. It is believed that there are no more such turtles in the lake although locals occasionally report spottings. But if you really want to get an idea of what Cu Rua looked like, you can see a preserved giant turtle of the same species at Ngoc Son temple. To get there, cross a small pretty bright red wooden bridge (The Huc Bridge or “Rising Sun Bridge”) that leads to the entrance of the small but popular temple (fee to enter). 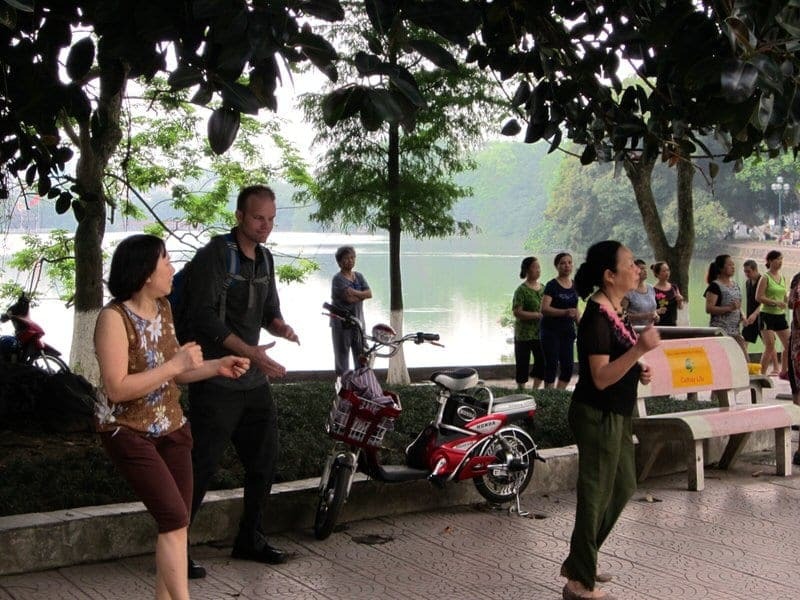 During the last part of the tour, we walked from Hoan Kiem Lake to the Old Quarter that borders one side of the lake. Almost all visitors to Hanoi make at least one visit to the Old Quarter as it is the historical heart of the capital city. This labyrinth of narrow streets are filled with history, bustling people, exotic scents, buzzing motorbikes, shopping tourists, and a tangled web of electrical wires. This is a fascinating place to take a walk, get lost, and soak in the sights, smells, and sounds of a bustling Asian capital that is partly modern and partly historic. In medieval times, 36 different guilds were set up here and each guild took a street and many of the street names still reflect those guilds, such as Hang Ga (chicken), Hang Gai (silk), Hang Bong (cotton), Lo Su (coffins), and Hang Mam (pickled fish). After learning a bit of history from our guide Trung, we were led to a tiny little place just off the street serving pho bo, the classic Vietnamese beef noodle soup. Trung told us that this was his parents’, who live in the Old Quarter, favorite place for pho in the morning. We joined a couple other locals in the small area on a bench and slurped up some tasty pho bo. After this we headed not far up the street to have a cup of Vietnamese coffee with Mr. Son Dang who is one of the co-founders of Footprint Travel and now the Managing Director. Once a guide himself, it was very inspiring to learn how Mr. Dang and his colleagues built up Footprint Travel over the past 13 years, how they are able to give back to local communities through their tours, and how they are committed to responsible travel. The pho bo and relaxing conversation over a cup of coffee was a good way to end our morning’s adventures before returning back to our hotel. We still had the whole day left ahead of us! You may have now decided what you want to see and do during your own early morning excursion in Hanoi, but now you have to figure out how to get from place to place. First, figure out how far the site(s) are from where you are staying. For most places you’ll need to take a taxi, bus, or motorbike, especially if you want to go to more than one place. 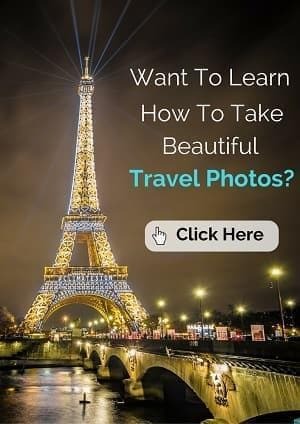 If you are only interested in doing one or two, it should be easy enough to arrange a taxi to take you and your hotel may be able to help you make the arrangements. 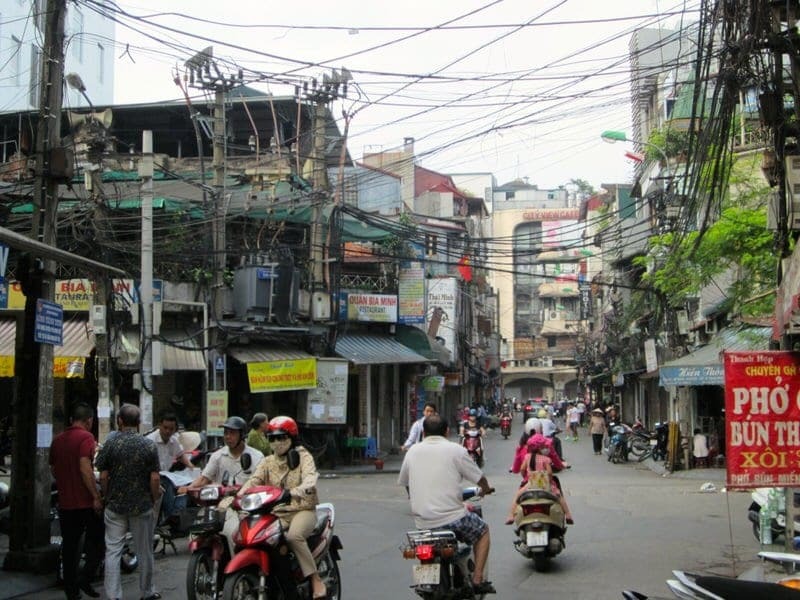 These places are all well-known to the locals in Hanoi so drivers should have no trouble finding them. Now, if you are wanting to see a few of these sites and make a morning of it, I would suggest hiring a guide or arranging a private tour. In the end, it will probably cost you about the same as renting a taxi or taxis for the morning and you’ll get a lot more out of the visits if you have a knowledgeable guide. We specifically booked with locally-owned Footprint Travel and took their Good Morning Hanoi tour which we both wholeheartedly recommend. The tour price is $28/person and includes transportation, a private guide, and breakfast. Not only does it allow you to take in all of the above mentioned places in Hanoi, but it also saves you the headache of handling the logistics of timing and arranging transportation. Visiting with a guide really helped us feel more comfortable at the chaotic Long Bien Market, and we learned so much history and background from our local guide Trung who grew up in the Old Quarter of Hanoi. 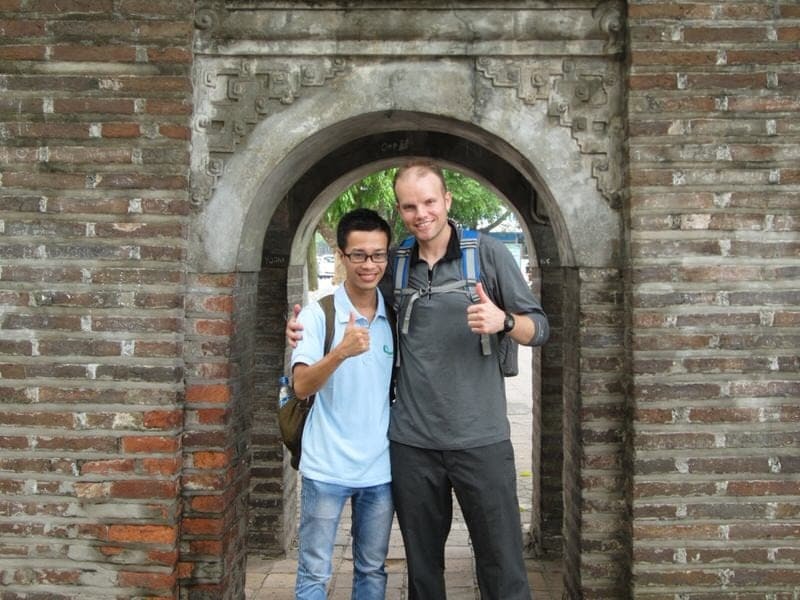 Trung as a guide as not only is he knowledgeable and professional, but he is also a warm and friendly person. 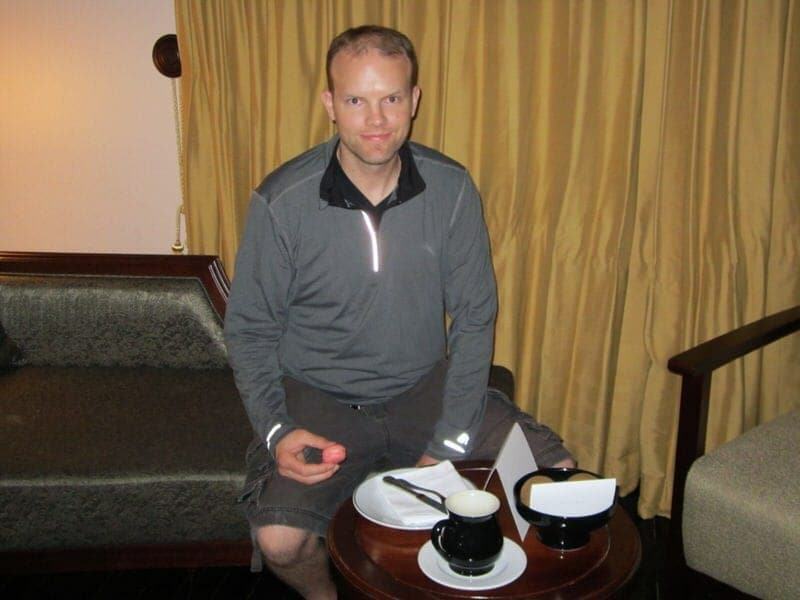 We later did another tour with him to Vietnam’s tea region. Of course there are also other tour options in Hanoi such as this early morning bike tour and this sunrise motor scooter tour! If you are game for getting up super early one morning while in Hanoi (great if perhaps you have jet lag or an early morning flight), I would consider making a full morning of it and trying to combine at least a few of these early morning sites. Would you be willing to get out of bed early for any of these activities if you were visiting Hanoi? Do you have other early morning tips or morning places you recommend in Hanoi Vietnam based on your own travels, or any questions about the places we went? As always, we’d love to hear from you! Thanks for sharing your experience! Heading to hanoi in few days and as we are only staying for less than 24hrs I will definitely do this early morning visit ! I saw on google map that you have another flower market called Quang An flower market which is slightly closer to long bien market. Is there 2 flower markets ? Have you done that one too? Thanks ! The idea of a 4 A.M tour is so coolllllll! The morning sounds really great and I would love to do it when I go to Hanoi in a couple of months. My only issue is what do you do the rest of the day? If you’ve been up since 3.30 am and done by 8am, you are probably too tired to explore more but you still have a whole day ahead of you! What did you do after your tour? Any more sightseeing or back to bed? Thanks in advance. Hi Anna! We’d highly recommend the early morning Hanoi tour if our experience sounds interesting to you, it is a really great and unique tour. We took two tours with Footprint Travel and highly recommend them as a tour company. Let’s see, after the tour we had lunch at our hotel and took an hour-long tour of the hotel. Then we spent a bit of time resting in the hotel before walking around the streets and getting a beer and soft drink at Quan Ly Restuarant. We were back at the hotel for cocktail hour and a pizza later that evening. So we did go to bed early but we never went back to sleep during the day. We actually had to get up early the next morning to take a shuttle van to Halong Bay which I’d highly recommend if visiting northern Vietnam. This seems like an excellent 1st day excursion when you are up early anyways due to jetlag. It would otherwise have to be a rather awesome experience in order to get me up and out at that hour.. The flower market look beautiful, and your tales of Long Bien remind me of having “wet market shoes” specifically for when I go shopping in Malaysia. 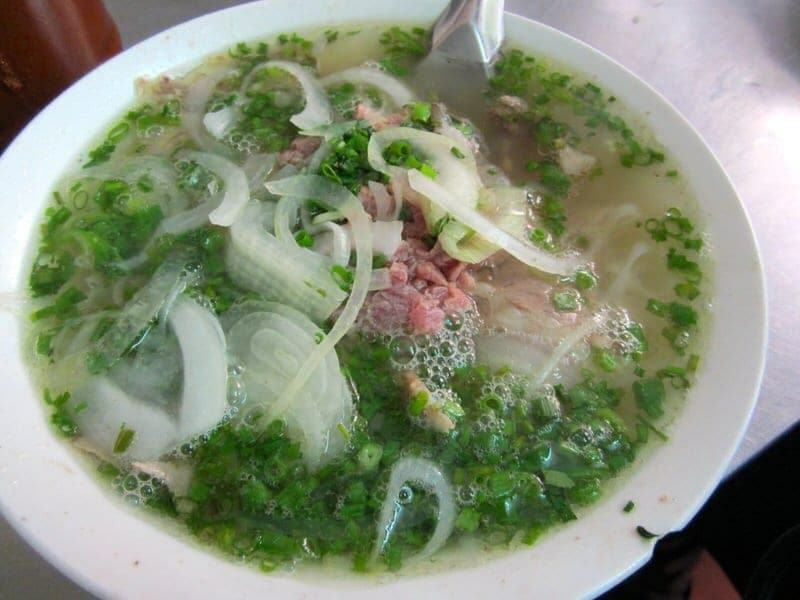 Your post got me so hungry that I’m headed out to find my own bowl of pho. Yes, wet market shoes would be very appropriate at Long Bien:) Hope you found a good bowl of pho! So many great things to do in the mornings! Love that you guys got in the action doing tai chi. Visits to the market in the AM are the best. 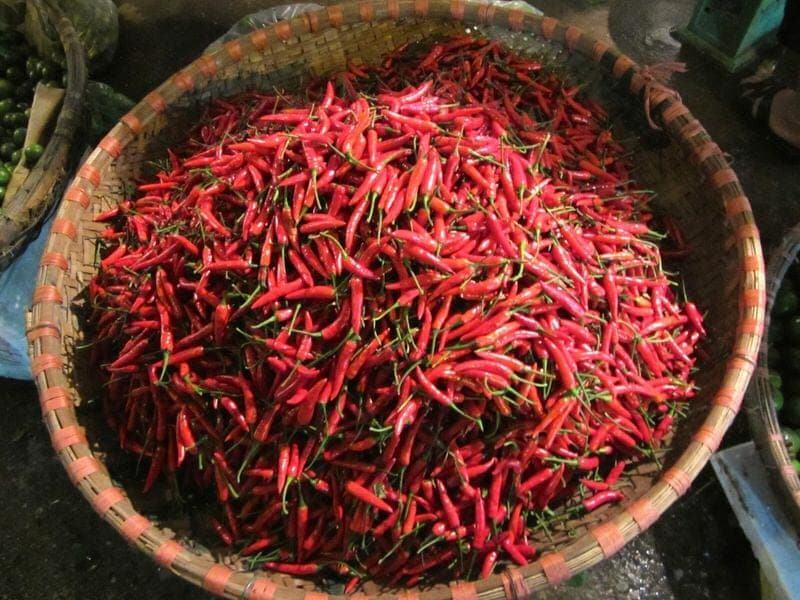 Yes, whenever we visited markets in Southeast Asia later in the day, the heat and smells made us feel sick! Mornings are definitely the best time to go. Wow, who knew that so many activities are happening when we’re all dreaming in bed?! 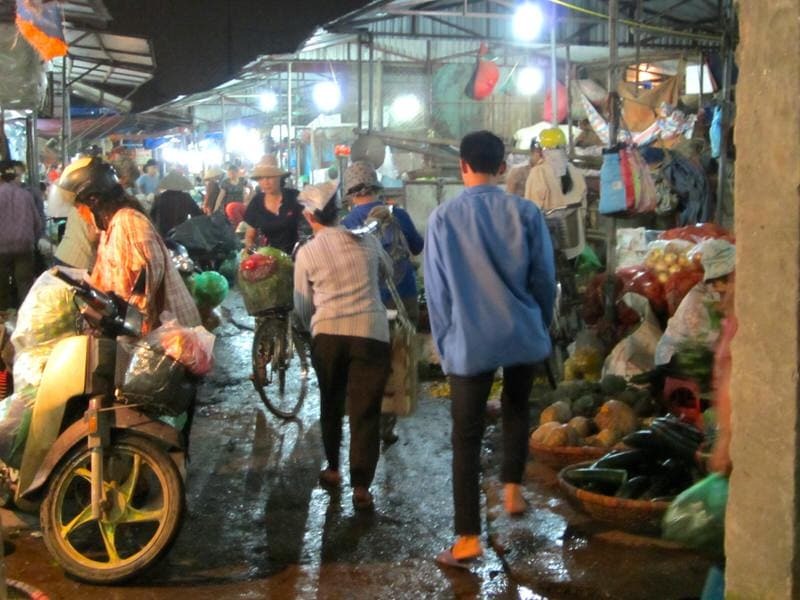 I can’t even imagine locals going to a market at 1 am in the morning as part of their daily routine! This sounded like such a great way to really explore and understand local life. And I bet that flower market just smelled amazing!! The flower market was so colorful and beautiful and yes it smelled great! Wow! Great photos! We are going to Dominican Republic in a few months. Any suggestions on things there since I have never been? Hi Nicki, yes, the markets are a great place for photos and the park also in the morning light. No, we don’t have any tips for the Dominican Republic as we’ve never been either but look forward to reading about your trip! You were up so early! But it is amazing how much you can get accomplished. You got to see a view of a city that many tourists sleep through! It is amazing how vibrant the city is that early in the morning. I think this is a very worthwhile tour and would love to take it someday! Lauren, yes I think it was great to see the city at all the various times of day! 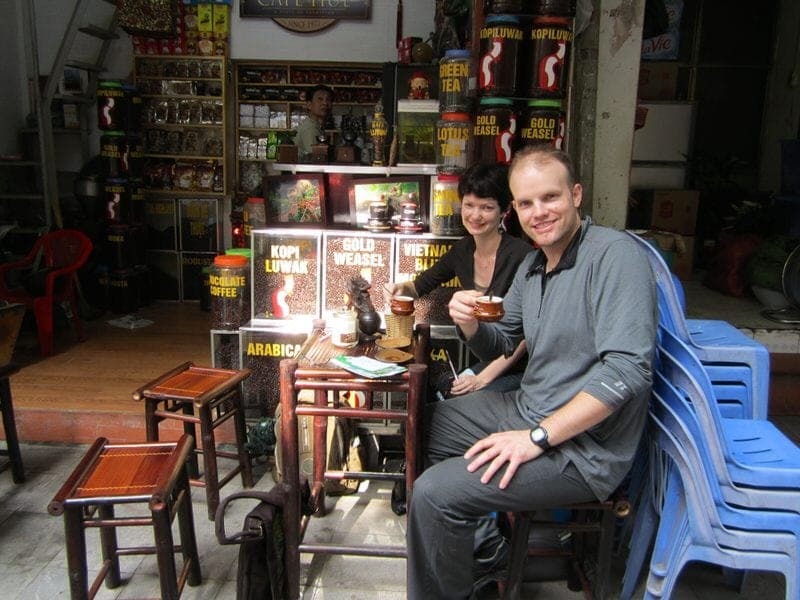 I would definitely recommend taking this tour with Footprint Travel if you are ever in Hanoi. I would so be willing to get up early to do these things! I get up early anyway though so I’m not sure that it would be tough for me at all. One of the things that really stands out to me about the different places you visit is how much healthier they eat than in the US. The markets are always a tip off. Also you seem to run into a lot of out door exercise enthusiasts. I love Thai Chi! I learned to do it while in therapy in my 20s. Oh, I would skip the turtle. I’m scared of them. You are right, you could have a very healthy morning buying fresh fruits and veggies, doing some tai chi, and walking along the Old Quarter! I adored Hanoi when I was there. I loved the craziness of it all. I must say I never thought to get up at 4am and explore the city that early. What a great idea! A reason to return to Hanoi:) We got very good at crossing streets in Vietnam, Ho Chi Minh City was worse than Hanoi in our experience! Is there a reason why the market is only open during the evening hours ? That seems a bit crazy to me. Vietnam is on my bucket list . Loved all the pictures, especially the ones of the flowers. Thanks for sharing with us. Hi Carmen, yes the markets are only open in the morning for a few reasons. One is because this is when the new produce and flowers are delivered into the city, and everything is fresh in the mornings. 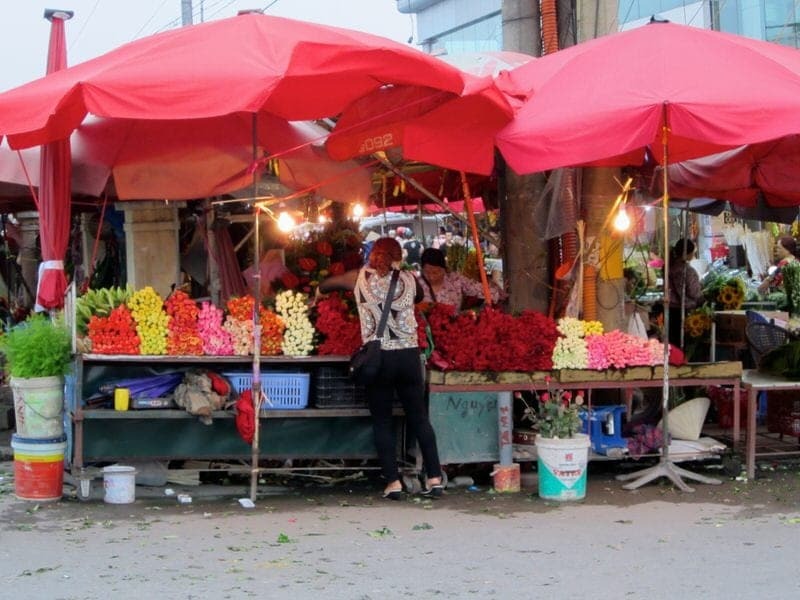 Also both the Quang Ba Flower Market and Long Bien Market are both primarily catering to wholesale customers so market and business owners come daily to get fresh products before their own businesses open in the morning. Vietnam is a great place to consider and an interesting budget location! Jessica. 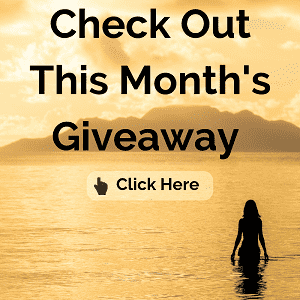 Great post, we love seeing what you are up to! Thanks Corinne, love following your travels as well! Early morning wake-ups are great for photos of markets and busy cities, beautiful! Indeed! Thanks for stopping by Elizabeth. What a great experience and thanks for taking me back to the city that holds a huge place in my heart. I’lived in Hanoi for 4.5 years and just love that place. And boy do I miss a good pho like the one you were eating in the photo. I’m soooo jealous. Wow 4.5 years in Hanoi, how wonderful. I think it is definitely a place I could see us spending more time when we return to Vietnam. We spent several days here but barely scratched the surface. I hate waking up early in the morning, but I would definitely do it for a tour like this one. When we were in Vietnam, we went out early a couple of days, once in Can Tho and once in Hoi An, and we were surprised to see how lively streets were. 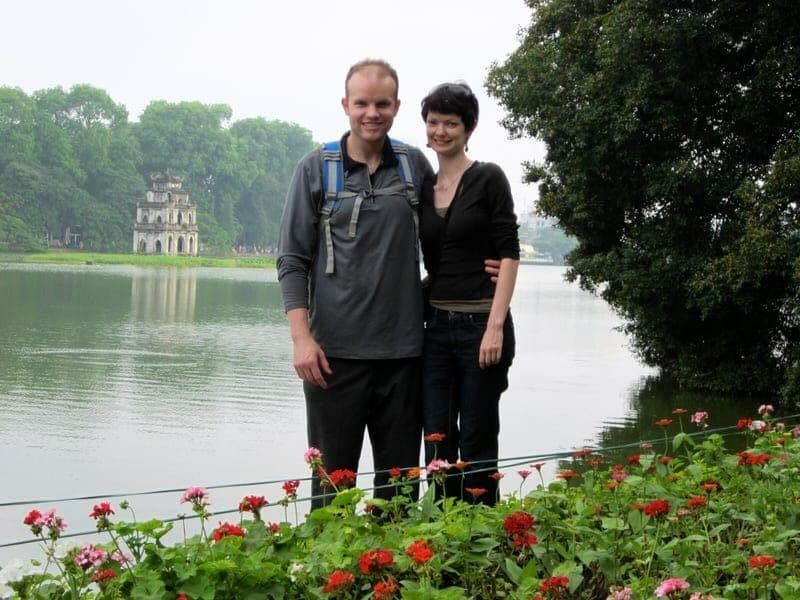 I love how this tour took you off the beaten path, really makes me want to go back to Hanoi! Yes, staying up really late or getting up really early can really show a different side of life anywhere I think. When we were in Hoi An, mornings before 8am were my favorite as few people were on the streets. Its also the time photographers and videographers come out to shoot shots of the city. Seems like you had a full day already before 8.00 am. Ethan, on that photo, really looks suspicious of the early morning tour :). But I’m sure that visit to markets woke up all your senses. They really look colorful on your photos. And when the tour ends with such a breakfast, it’s worth anything, even waking up as early as 3.30. Haha, yes, Ethan was certainly skeptical of having to get up so early in the morning but in the end it was a really great way to see a different side of Hanoi! Way cool morning photos guys! I recall being taxied around Hanoi at 4 AM for a flight; the airport is just SO far outside of town, right? 😉 Thanks! Thanks, glad you enjoyed the article. Yes, the airport is about a 45-60 minute drive north of Hanoi. As much as I hate getting up before dawn, I can see the benefits with this tour. We love Hanoi and have arrived there at 4 a.m. on the way back from Sapa. It certainly was quieter on the roads then. We passed a market that was already operating and it looked interesting from the train. Maybe it was one that you were at. That pho looks delicious. Hi Jan, yes if the market was near the Long Bien Bridge, it may have been this one. Jessica, What a great idea…an early morning tour. I would love to do all those things. Great list! Thanks Corinne, it was a lovely morning and we learned so much! That’s so cool that you got such a unique perspective on the city by touring it in the early morning! Some of my favorite travel experiences are those when I’m visiting an area at an off-hour. It’s like you’re seeing the city like a local instead of a tourist. Thanks for sharing! Yes, it was definitely an experience most tourists do not get to see as few of us every get up before 7am to explore a city. Wow that’s so wonderful to do a tour by night/morning! I never even thought of this! A market opened between 1-3AM? That’s crazy, didn’t think people would ever work at that hour! All your pictures of the flowers are wonderful! Such amazing colours! Yes, we don’t normally ever get up before 7am unless we have to so this was definitely an unique experience for us. Similar to our visit to the Noryangjin Fish Market in Seoul, the workers are up all night and morning and then rest during the day. 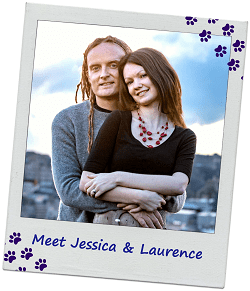 Thanks Jessica and Ethan for sharing your experiences to friends all over the World. You are right that waking up early is a difficult task for most, but travel is an adventure that we do not just seek for comfort and luxury but we travel to experience the differences in cultures and the lives of different people. My wife was complaining at me about my early rises some years ago on this tour and many other early morning trips, but after trying the tour for herself a few times, she now really loves it. “I can really see a different angle of life here” she told me once. Thanks so much Mr. Dang for the wonderful experience of taking this tour with Footprint Travel. We learned so much and really did get to see a cultural side of Hanoi that few outsiders ever get a chance to experience. We highly recommend it to those who can get themselves out of bed this early, I don’t think anyone would regret it! 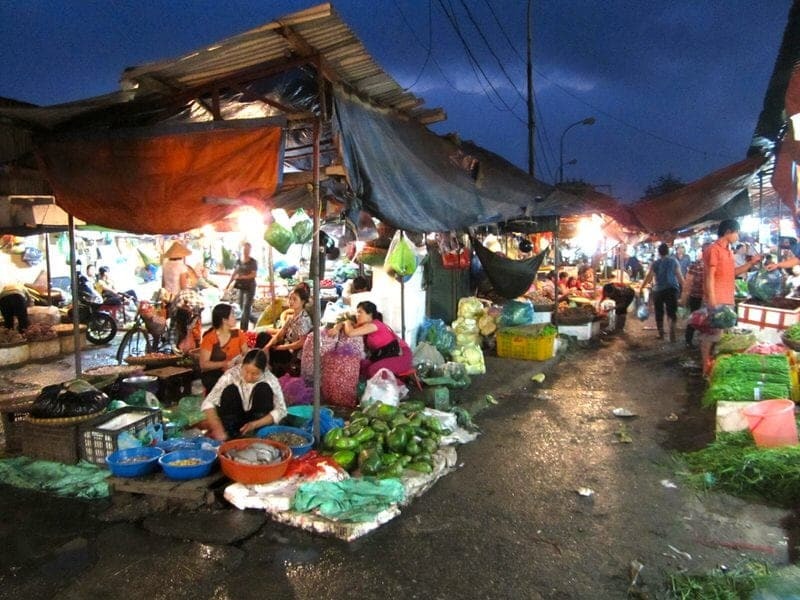 This is similar to the traditional Indonesian markets. Hi Anton, we’ve never been to an Indonesian market but would love to visit. Thanks for commenting! This sounds fun, but I’m fairly sure I’d be a zombie at this time or morning and not be able to take anything in! Haha, you might want to have the coffee first:) Yes, it is hard to be fully awake but the markets really wake you up! Yes, I bet there might be some cool things going on in the wee hours of NYC as well! 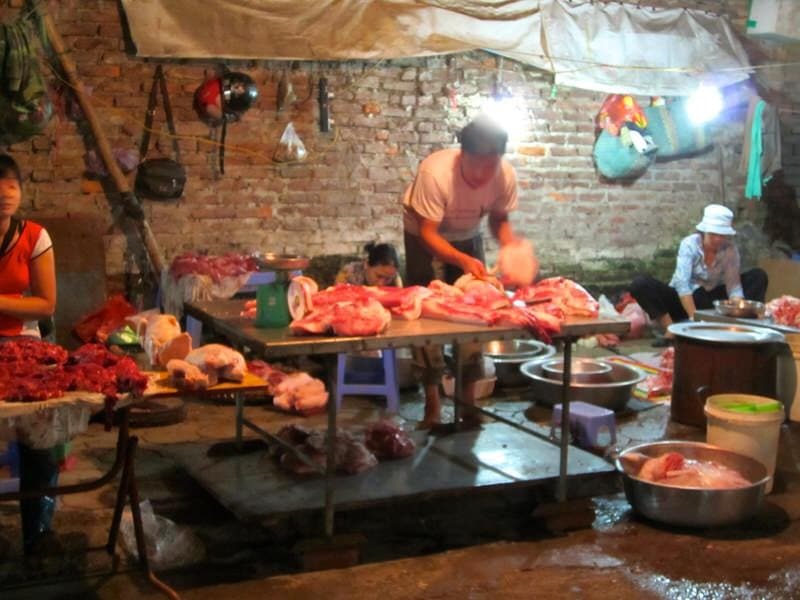 Yes, the people at this market work very hard and long hours to bring and sell these items in Hanoi.